Stone houses, apartments overlooking the sea, building land in the gentle surroundings of Rovinj, newbuilt high quality apartments, houses in the background are just some of the properties that stand extremely high on the real estate market in Mediterranean. Rovinj was on of the first real estate destination in Croatia which became of interest to foreigners in 90's, and the situation has not changed even today. In comparison with other towns in Istria, Rovinj is the most appreciated thanks to the many natural and historical factors. Apartment in Rovinj or a house in the vicinity of Rovinj, is the aim for truly experts in real estate market. One of the reasons of great interest for real estate in Rovinj is preserved coast thanks to moderate urbanization policy. The most desirable properties for romantic souls are house or flat in the old town, while areas like Centener, Borik and Valbruna are car frienldy and thus more convenient while the prices of new apartments are quite acceptable. In Rovinj is valid the same story as well as on any other real estate market, if you don't know of local specifics, seek for a good advice at the agency. 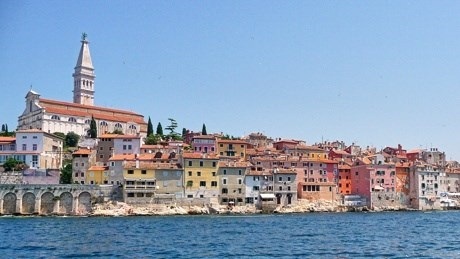 Real estate for sale in the area of Rovinj.